Paksat give the signal to all over Pakistan. This Satellite is located on Cband 38E. 90% of Pakistani channels now working on paksat including Geo, TV One, Aaj TV, Dunya TV, Geo Entertainment, Filmazia, Filmworld, Filmax, Hum TV, Geo Kahani and this satellite has all popular Pakistani News channel which is the very good thing for News listeners lovers. In 2016 PTV Sports also on Paksat but in 2017 PTV Sports move on Conex Receiver which is very bad News for Sports lovers. If you want online PTV Sports Live Tv Streaming go in this link and watch Live Ptv Sports. Here I am providing Paksat All Biss Key Channel 2018 with Frequency Symbol Rate and Polarity. 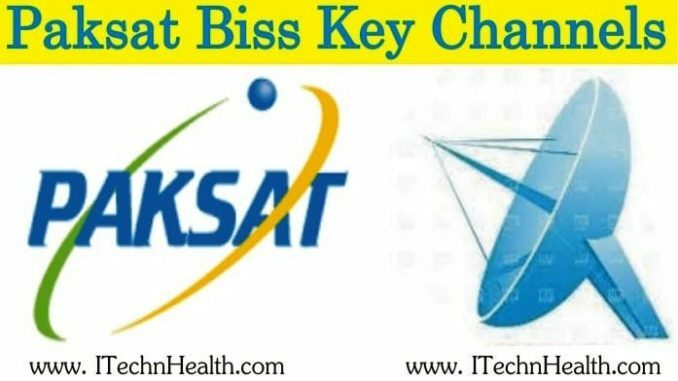 The biss keys of some channels are not available. The list will be updated as BISS keys are available for these channels. So keep visiting the page to stay updated about latest bisskeys of Paksat.